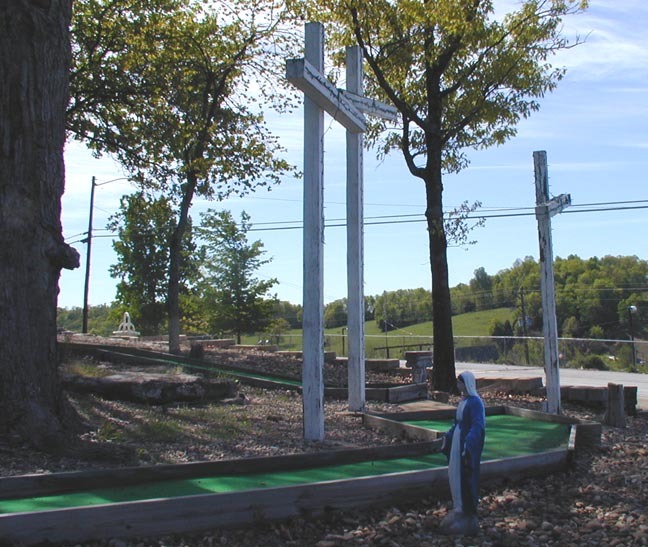 Golgotha Fun Park had been closed and for sale since at least 2001. 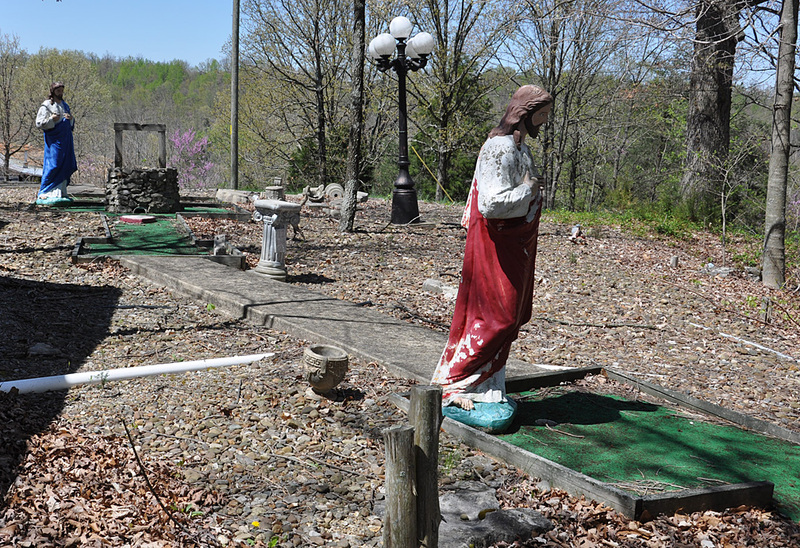 In 2011, this mini golf course was cleaned up and reopened. The statues were removed and the building in front of it was renovated for Big Jack's Rib Shack. That business was gone by 2015. 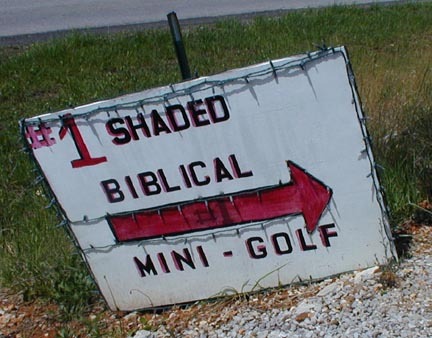 Golgotha's first 18 holes represented the Old Testament while the other 18 holes showed Christ's toughest miracles. 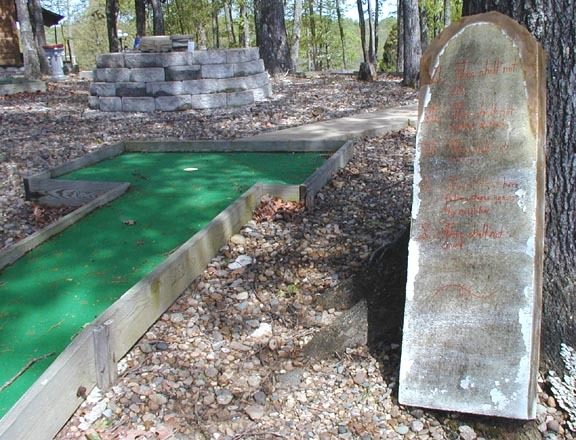 "Golgotha" was the hill where Jesus was crucified. For more, see this website.